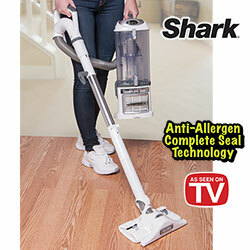 You've seen this Shark Navigator Lift-Away vac on TV, but now you can own one for much less than the advertised price. This vac features more deep cleaning power, more dust cup capacity and a lighter and quieter design for less than half the cost of the leading brand. 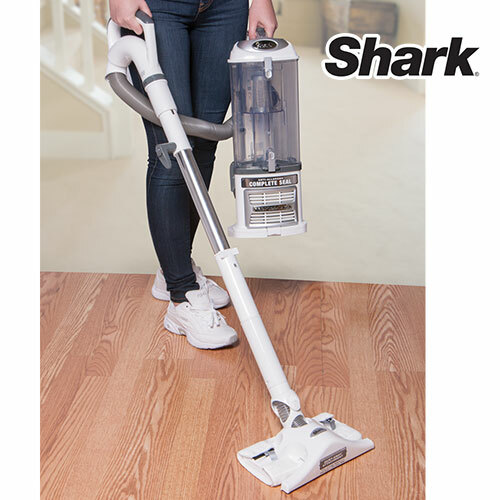 Also features Guaranteed No Loss of Suction Technology, swivel steering for effortless use, Anti-Allergen Complete Seal Technology that traps 99.99% of dust inside the vac, a large 2.4QT easy-to-empty bottom dust cup, 11" cleaning path, Lift-Away canister for cleaning stairs and upholstery and much more. Model and color may vary slightly from photo. Factory serviced to meet original quality standards. May have slight cosmetic blemishes.